Successful seasons start with quality seed, treated to control diseases and insects. AgriShield® seed treatments protect your most valuable investment by helping crops fulfill their genetic potential in the field. Multiple treatments provide growers with flexible options that promote strong, healthy roots, improve plant vigor and provide the opportunity for more consistent emergence. 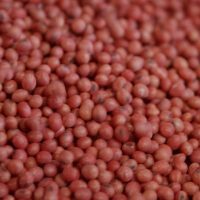 With AgriShield, you can plant confidently knowing you’ve chosen a safe, professional-grade seed treatment system for your soybeans and sorghum. Our products are backed by quality assurance with proven performance in many soil types and geographic climates. No matter the challenge, AgriShield is always on to help you succeed. Learn more about our products and treatment options to determine the right fit for your farm. Guard seeds against soilborne diseases and damaging insects. Stimulate root development to increase water and nutrient uptake. Improve emergence and vigor for maximum yield potential. 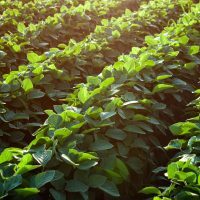 AgriShield soybean seed treatments protect your most valuable investment for maximum genetic potential. We offer a variety of treatment options, applied at our state-of-the-art facility and delivered to you, ready to grow. Combines three fungicide chemistries to protect your seed from major diseases like phytophthora and rhizoctonia. AgriShield® ST also improves root development to increase water and nutrient uptake, driving early growth and performance. Reduces risk of replanting by establishing strong stands and protective canopies earlier. Delivers enhanced plant protection and vigor with the powerful combination of fungicide and insecticide chemistries. Get protection from insects like aphids and bean leaf beetles, plus defense against major soilborne diseases. AgriShield® PLUS promotes emergence to protect your seed investment. Protects soybeans using fungicide and insecticide chemistries to maximize productivity and genetic potential. 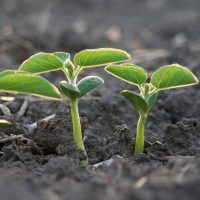 AgriShield® MAX also includes a 200-plus day inoculant to increase nodule development, providing more opportunity for nitrogen fixation, which enhances soybean yield potential. Maximizes protection against major insects and diseases, including sudden death syndrome (SDS) and nematodes. AgriShield® Max with ILeVO® combines fungicide and insecticide chemistries, and a a 200-plus day inoculant for increased nodule development and additional nitrogen fixation. Start your season right with AgriShield seed treatments applied at our state-of-the-art facility and delivered to your farm, ready to help your sorghum crops achieve maximum genetic potential. Offers early-season protection against seedborne and soilborne diseases like pythium, fusarium, rhizoctonia and downy mildew. AgriShield ST provides excellent seed safety and improves root development to increase water and nutrient uptake for stronger performance. Combines the disease protection of AgriShield ST with a safener to protect sorghum crops from injury caused by crop sensitivity to S-metolachlor. AgriShield PLUS is your first choice for ensuring full stands and vigorous early growth without herbicide crop injury. Protects against early-season diseases and pests with a seed safener. AgriShield MAX ensures sorghum crops get their best possible start for high yield potential. Chemistries also improve seedling vigor and tolerance to stressful conditions such as drought, cold, nutrient deficiency and heat. Our local treatment options give growers access to high quality AgriShield products with the flexibility to combine chemistries that fit the unique needs of their crops and apply them on the farm. Use fungicide chemistries to protect seed from major seedborne and soilborne diseases. Combines fungicide and insecticide chemistries to enhance plant protection from a variety of insects and major seedborne and soilborne diseases. Promotes emergence and boosts vigor. Includes fungicide and insecticide chemistries to enhance plant health and guard against a wide variety of insects and major seedborne and soilborne diseases. AgriShield MAX also protects soybean root systems against SDS fungus, white mold and nematodes. CONTACT YOUR LOCAL AGRIGOLD® OR LG SEEDS® REPRESENTATIVE FOR MORE INFORMATION. AgriShield®, LG Seeds® & AgriGold® are registered trademarks of AgReliant Genetics, LLC. ILeVO® is a registered trademark of Bayer. © 2000- AgReliant Genetics, LLC. All rights reserved.